Today we’d like to introduce you to Susan Benford. 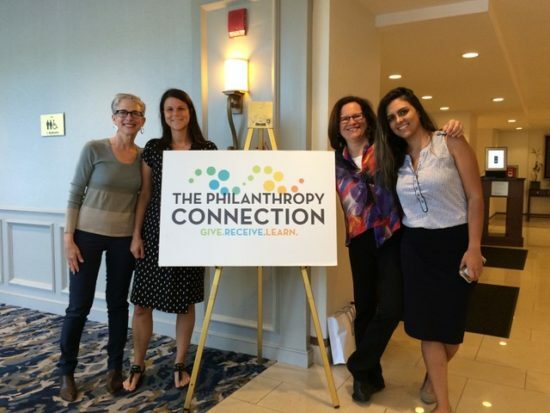 I joined The Philanthropy Connection (TPC) because I was attracted to its mission: a group of multi-generational women donate into a common grants pool and then collectively vet and vote on which Boston area non-profits receive funding. In this model, a “philanthropist” is one who contributes her time and talents, as well as donations, to non-profits working to improve the lives of marginalized, low-resource communities. Additionally, TPC is committed to educating the next generation of women philanthropists. Our Young Philanthropists, who constitute 20% of our roughly 300 members, are those 35 years old and younger who are committed to collective giving. 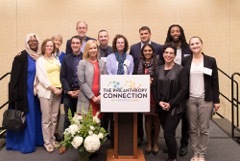 This Young Philanthropist program has been replicated by other collective giving groups across the U. S.
I was elected President of TPC in July, 2016 as the successor to co-founder, Marla Felcher. Since TPC’s inception in 2012, we have awarded over $1 million, including grants of $250,000 to 10 non-profits in May, 2018. Yes, there have been some bumps in the road! The initial interest in TPC was overwhelming, and our growth in membership outstripped growth in our infrastructure, the policies, procedures and systems needed to support programming and the grants review process. As a result, the Board voted to cap membership at 250 while we built out that infrastructure. Now, we are a more structured organization that offers extensive educational opportunities like our Philanthropy Dialogues, at which grantees provide in-depth discussion about pressing needs like food insecurity, youth in foster care, and immigrant rights. We also offer Volunteer Days in which members provide direct service to grantees, and encourage members to offer their skills to non-profits seeking them. As a result, members now serve on our grantees’ Boards, provide pro bono expertise in strategic planning, PR, development and the like, and make additional donations. Alright – so let’s talk business. Tell us about The Philanthropy Connection – what should we know? TPC has the largest cohort of “next gen” philanthropists of any of the 100+ collective giving groups in the country. We are proud that we have led the charge in educating this future generation of women leaders. 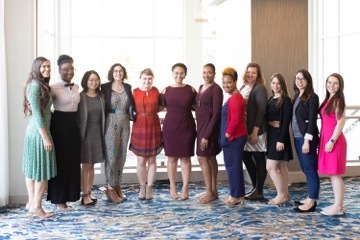 Additionally, TPC offers a Fellows program in which young women not currently able to afford our dues applies for a pro bono membership in a competitive application process. Dues for Fellows are underwritten by other generous members. 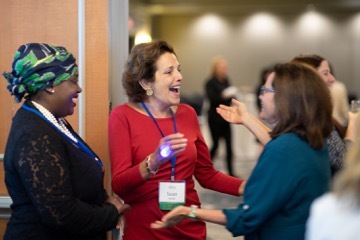 Our focus on connecting our grantees and our members has been hugely impactful. Last year, 100 women either volunteered with or made an additional donation to a non-profit we funded – that’s a lot of brainpower and support for our local non-profits! 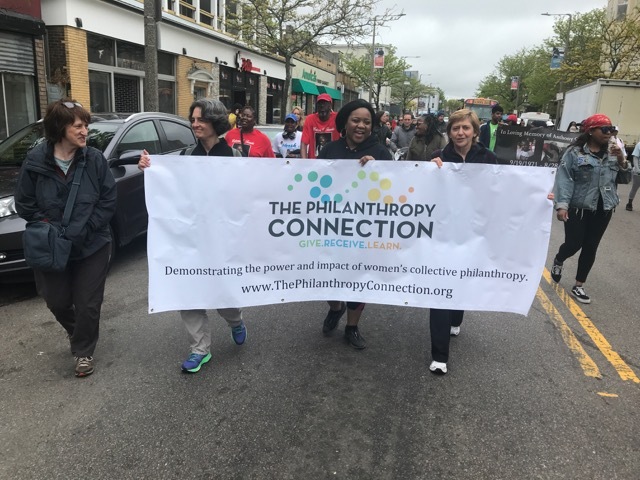 TPC aims to make philanthropy accessible to as many women of as many ages as possible, and seeks members who believe in the power of collective giving – that by pooling our donations, we can make a more significant impact than an individual can alone. We are largely volunteer-run with only a part-time administrator, and have members who participate in helping run the organization as well as members who participate only by paying dues; they know that all organizations proposed for funding have been exhaustively researched by TPC’s grant review teams. We are a “no guilt” group in which a member herself decides her level of participation!